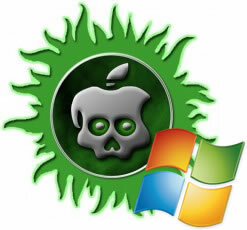 Just a day after the first iPad 2 and iPhone 4S jailbreak tool was released to Mac users, pod2g and the iPhone Dev Team have successfully updated the A5 compatible utility to work with Windows and Linux. The program relies on a command line utility that walks users through the jailbreak process one step at a time. The command line tool offers a sound alternative to waiting for a graphical user interface. Interested? Just download the latest CLI from the official iPhone Dev Team Blog, unzip it to any folder, open your everyday command prompt executable and enter “cinject -i payloads/jailbreak.mobileconfig” to get started. You can also find an in depth walkthrough and more information from the iPhone Dev Team official Wiki.